The largest selection of Vera Bradley in Albany and Saratoga Springs! For the first time, Vera Bradley introduces hats and scarves! Wrap yourself in your favorite Vera Bradley patterns! Baroque, Versailles, Twirly Bird and Buttercup available in all of the styles of totes, wallets, and accessories that Vera Bradley offers! For true Vera BRadley enthusiasts, decorate your Christmas tree with Vera Bradley ornaments. 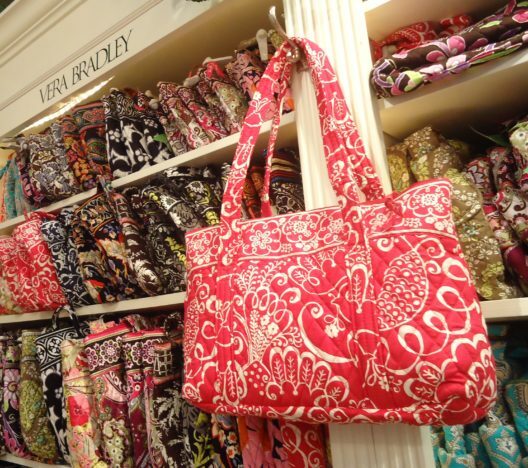 For one of the largest selections of Vera Bradley in the Northeast come into Wit’s End Giftique – just fifteen minutes North of Albany, New York!